Hellllo Out There! 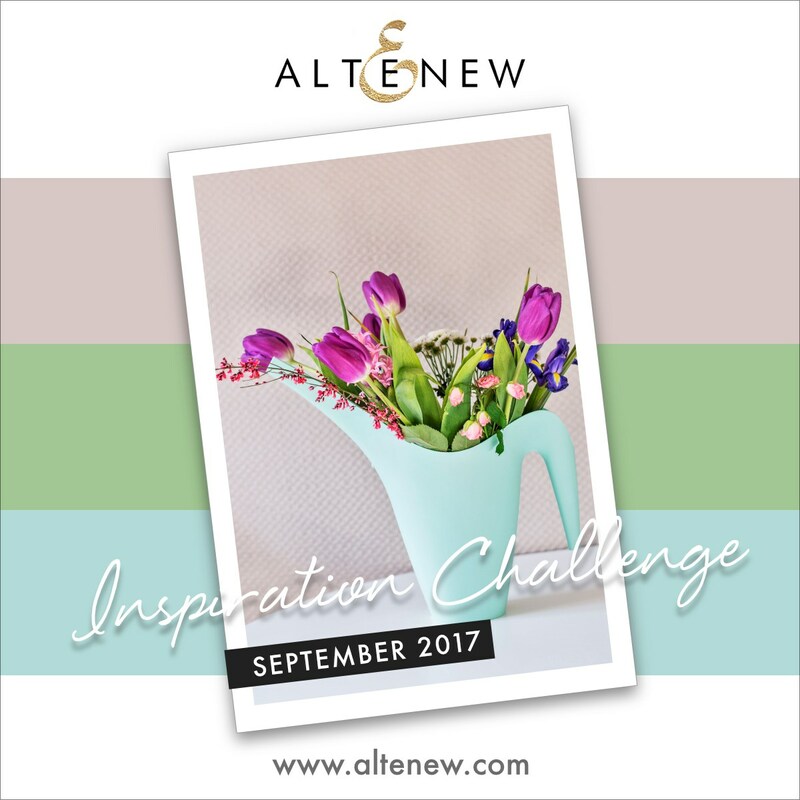 Today I'm submitting this card for the Altenew September inspiration Challenge. 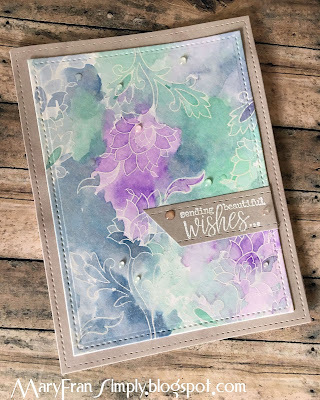 I began by stamping with clear embossing powder on some watercolor paper. 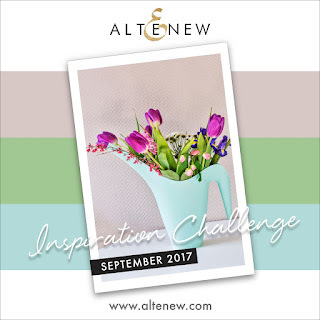 I wanted to incorporate the colors for the challenge (Altenew image below), so I just kept adding some wetter color to the dry water color paper until I had a nice mix and then I let this dry. I really liked the colors so I didn't want to cover them up and chose to adhere to the last color as a card base and a sentiment strip backing. I white embossed the sentiment on the small strip and cut stitched rectangles to the edges. Materials used are listed below. Your card is simply dreamy!